Dominic grew up on the Tring High Street above the GP surgery where his father was in practise. Winter afternoons often saw us visiting Tring museum or tobogganing down slopes in Tring Park. I later learnt that the museum was a birthday present from his father to Lionel Rothchild whose interest in the family banking business never took off but his fascination for natural history was unbounded. He visited Buckingham Palace in a carriage drawn by Zebras and populated the park with Cassiowaries and Wallabies. The snow clad slopes contain clues as to their earlier incarnation as a formal designed landscape by Charles Bridgeman. Today the landscape is overgrown but its Bridgemanic history is guiding Herts Garden Trust to help the woodland Trust reveal some of its greatness. 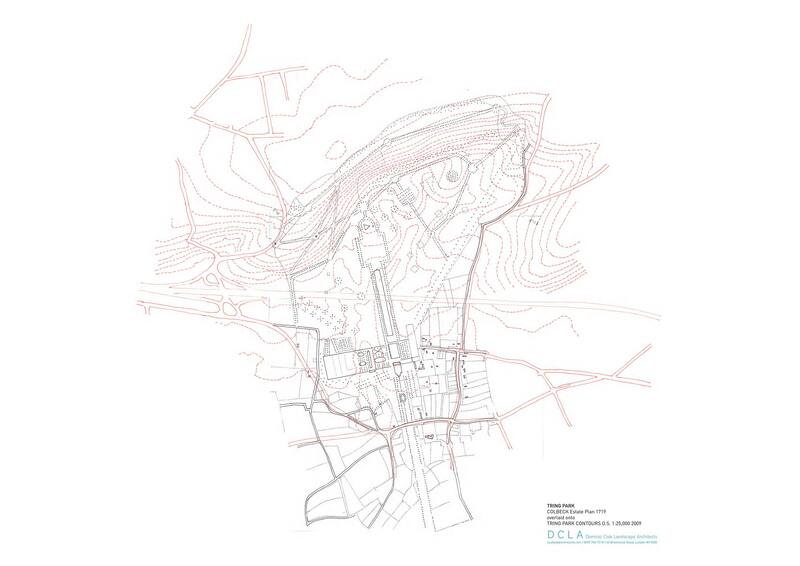 Dominic Cole has prepared historic overlay maps to help understand how the designed landscape can be read.